You're always chatting on Facebook using your phone. And now you have even more options to constantly converse on the browser, too, because today Mozilla pushed out Facebook Messenger for Firefox. Not technically an app, but it lets you chat on Facebook no matter what site you're on. You must have Firefox 17. 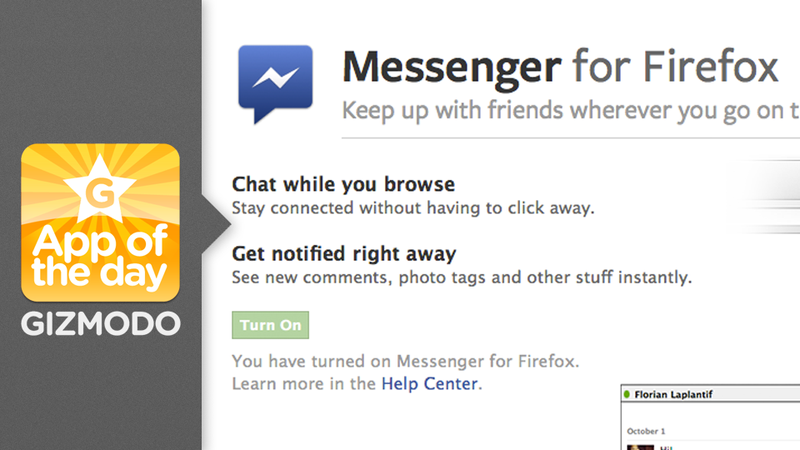 Then head over to the Facebook Messenger for Firefox page and click the green button that says "turn on."